Michelle Dockery oozed elegance on the pink carpet at the 2018 CanneSeries International Festival held at Palais des Festivals, Cannes, France, on Saturday. The 36-year-old English actress and singer donned a red ‘Lockton‘ one-shoulder crepe gown from Roland Mouret‘s Resort 2018 Collection that you can buy for $3,365 at Roland Mouret. She accessorized with art deco diamond Chopard earrings and completed her outfit with Rupert Sanderson sandals. 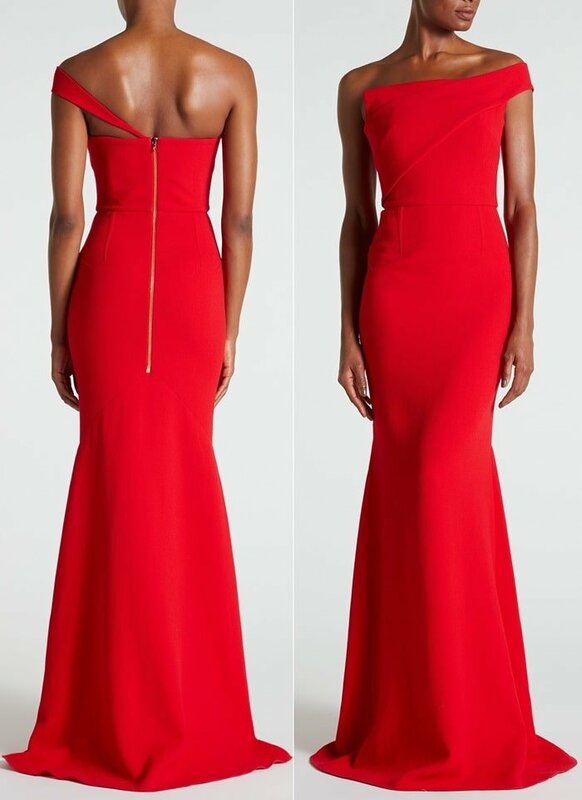 The ‘Lockton’ gown in poppy red double wool crepe marries up a strapless bodice with a single, tapered strap that dips low on one shoulder and wraps around the back to meet a polished gold zip – a Roland Mouret signature. A diagonal panel cuts across the bust, an A-line floor length skirt cut on the bias in the back allows for movement.